By TLex After establishing themselves as one of only a handle full of German watchmakers producing high-quality bronze watches with the release of the SportTaucher BRONZE, based on their popular divers model, Archimede have once again turned to this specialist case material for a nautical watch. The new DeckWatch Bronze by Archimede uses a high-quality Bronze case manufactured by ICKLER in Pforzheim. It has the same type of properties found on other bronze models from ICKLER, which means that overtime it will develop the all the charm an charisma of a vintage patina. 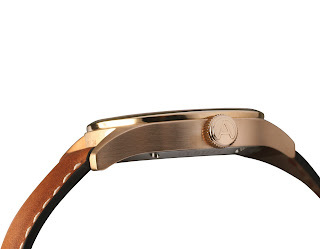 Specifically this Bronze case is in CuSn8 with a polished and brushed finish, a diameter 42mm, a thickness of 10.5mm, a lug-to-lug length of 51 mm, a Sapphire crystal with AR-coating, a screwdown see-through caseback, a signed Bronze crown and a water-resistance to 5 ATM. 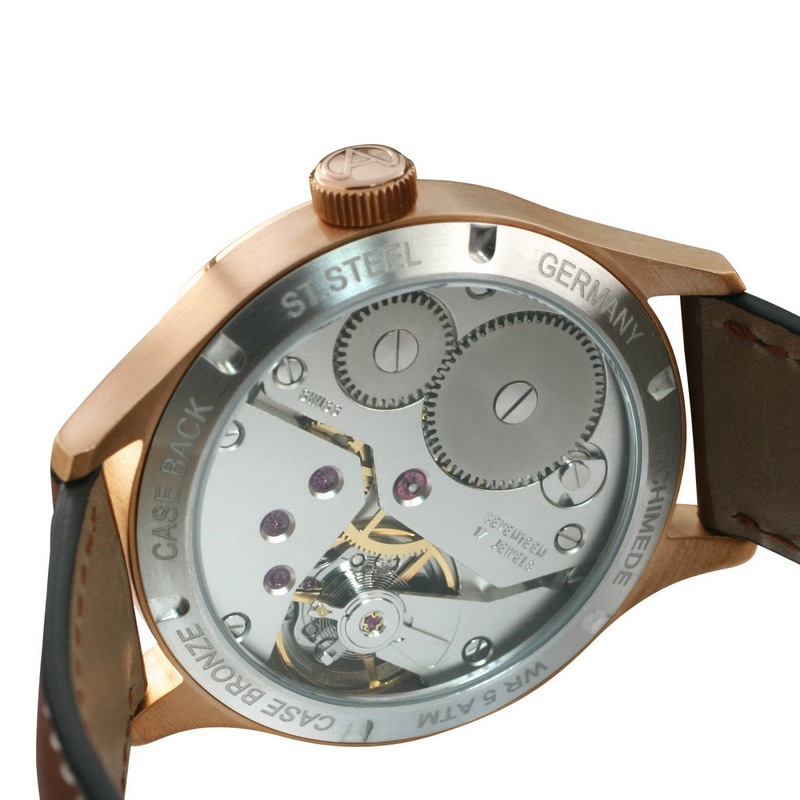 Further features include: a silvered dial with heat-blued steel hands and a Swiss made ETA 6498 hand-wound movement that can be viewed through the DeckWatch’s exhibition caseback. The ARCHIMEDE DeckWatch Bronze is presented on a hand-stitched leather band with a bronze buckle priced 960€ (incl.VAT), 807€ (exe. VAT). 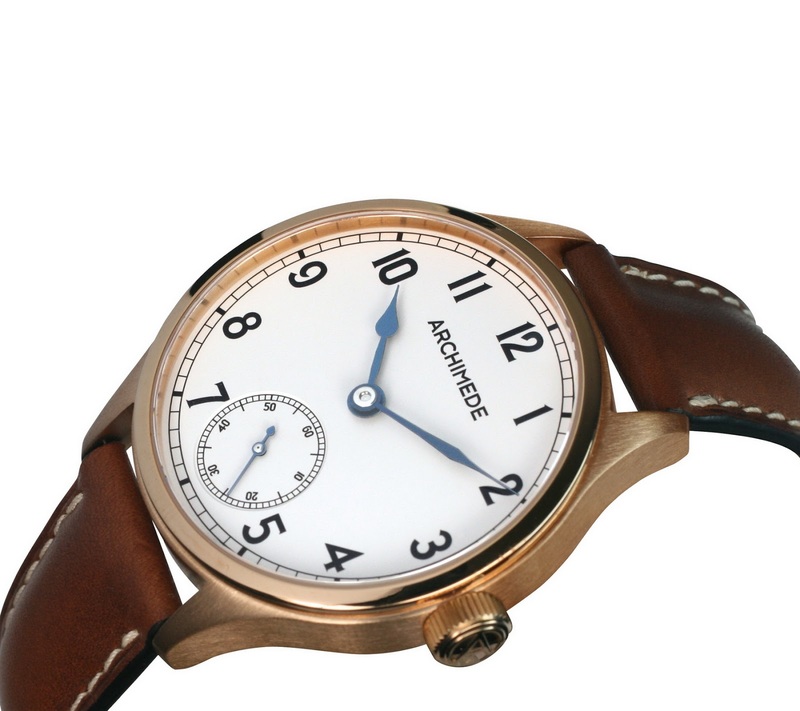 It can be ordered from the ARCHIMEDE OnlineShop.